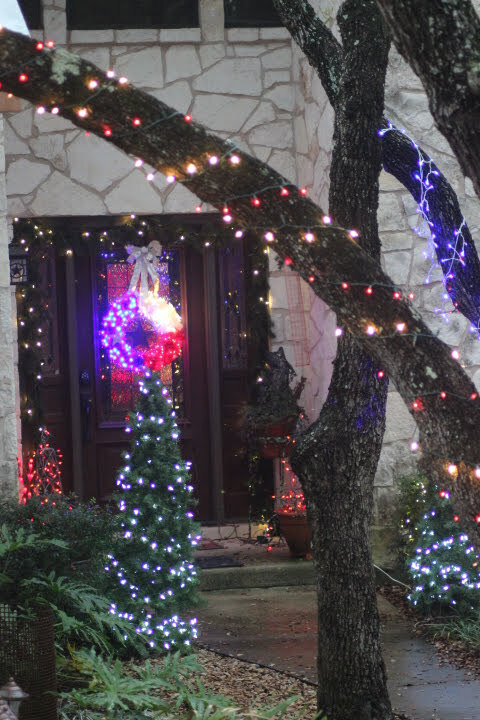 I like to change my Christmas decorations up a bit each year. This year it's the Red, White, and Blue theme which made its first appearance in 2001 shortly after the 9/11 attacks in New York. For 2017 I decided to honor my home state of Texas. The last few months have been tough ones with Hurricane Harvey flooding my childhood neighborhood in Houston and seeing devastation along the Texas coast. 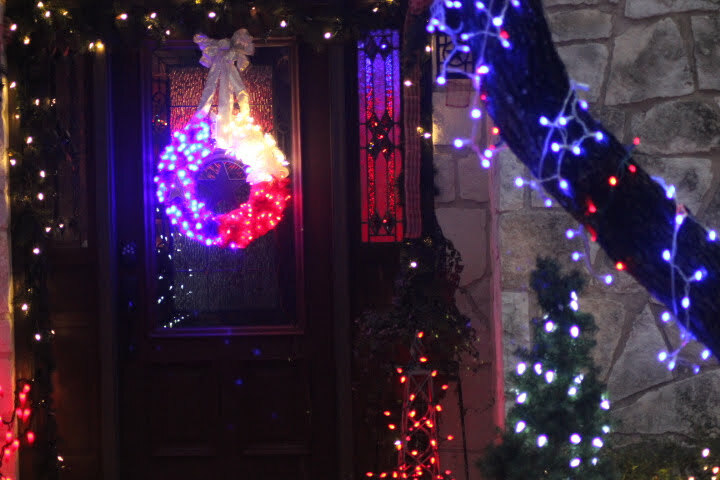 A wreath inspired by Pinterest sets the stage. 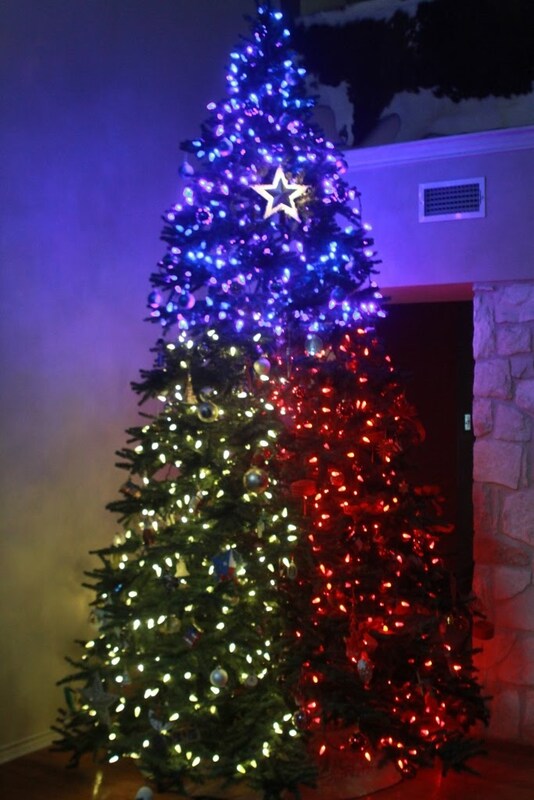 Tree lights are arranged to reflect the Texas flag complete with a star. 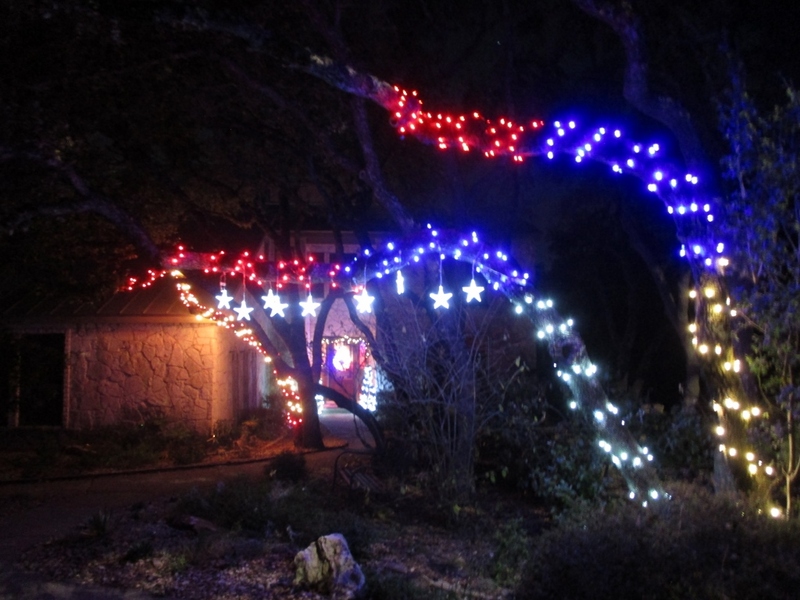 ....and patriotic "candy cane" trees. I love the way the porch is so welcoming. Trees flanking the walk are tomato cages wrapped with green garlands. Lights from inside reflect through the glass. 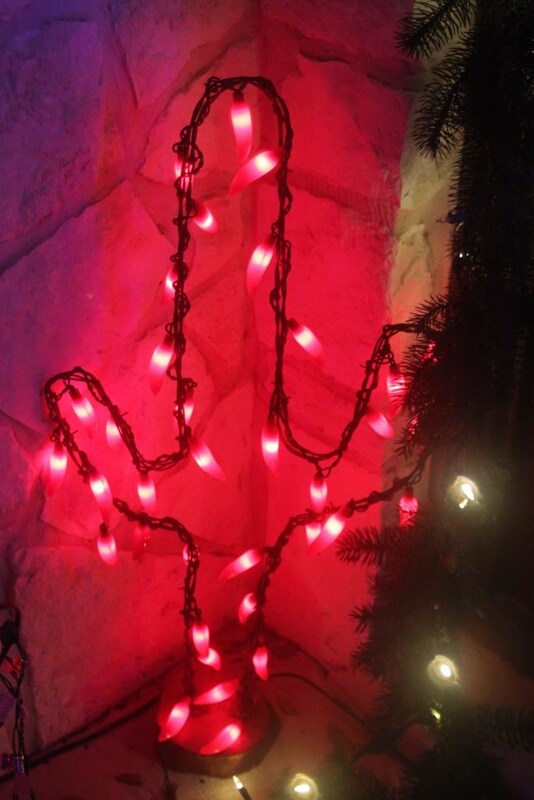 No Saguaros in Texas but chili lights over barbed wire works with the theme. 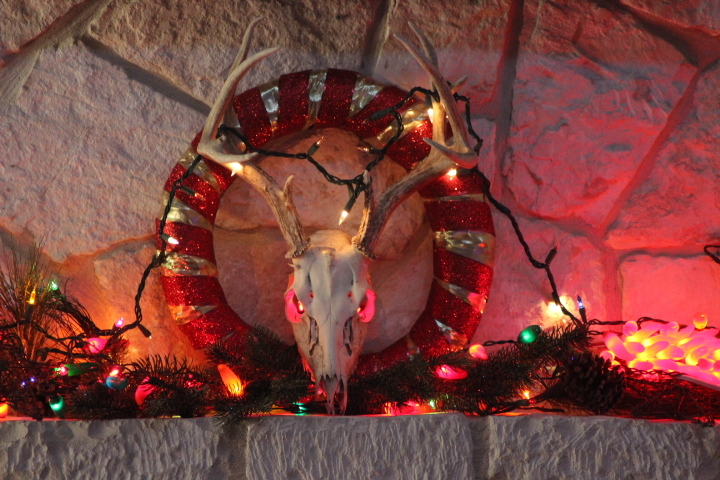 A deer skull with red eyes for the mantel this year. Light strings caught in antlers is something we see from time to time. 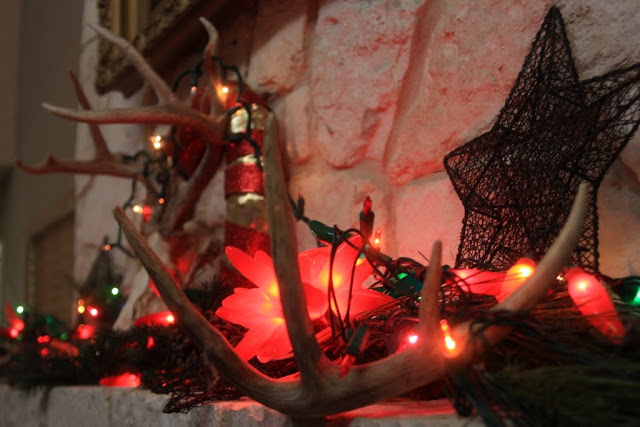 Bucks have been seen walking around wearing dangling lights until the antlers drop in spring. 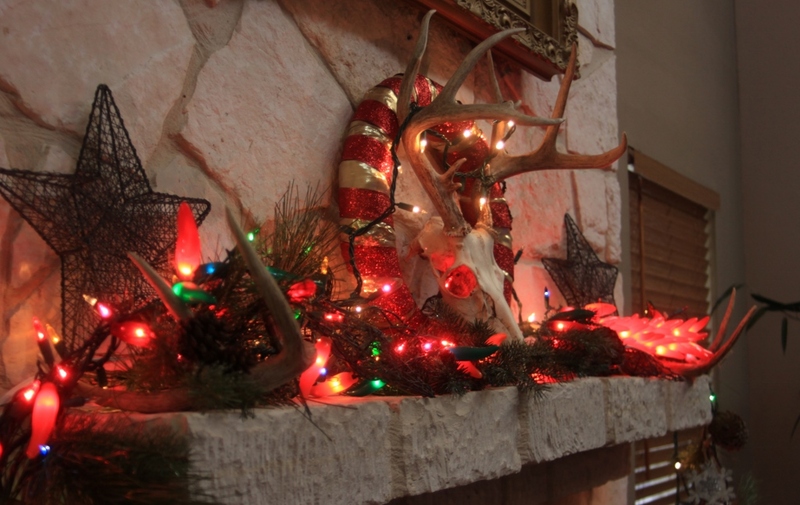 Wire stars, chili lights and shed antlers fill out the scene. 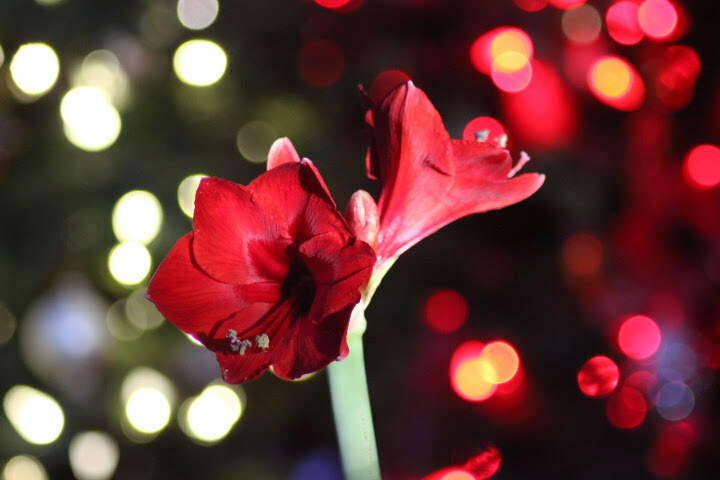 The red "blob" is a lighted chili ristra. 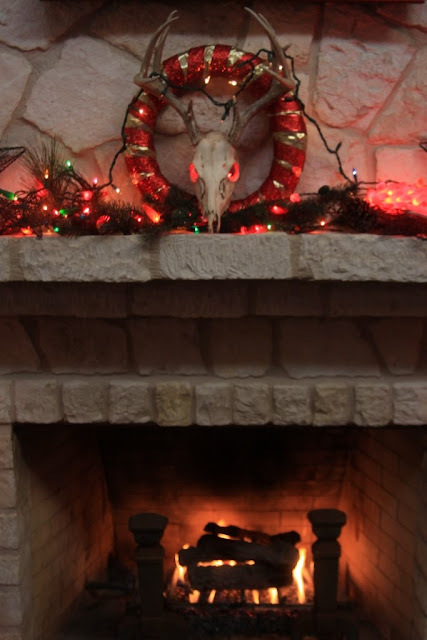 Wishing you the warmth of a Texas Christmas wherever you are! 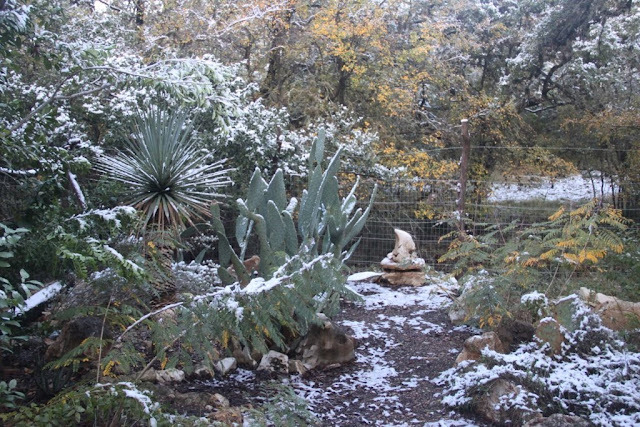 While most places waved goodbye long ago to autumn's turning leaves and fading blooms, South Texas (despite one freak snowstorm) enjoyed our usual long, warm fall season. 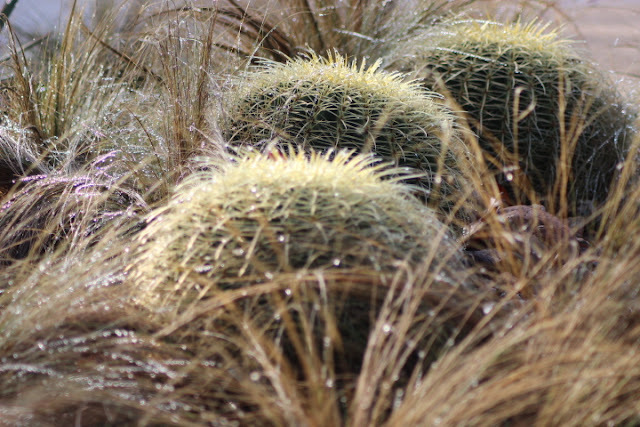 The temperatures have been in the mid-70s the past few days so I've been out walking. 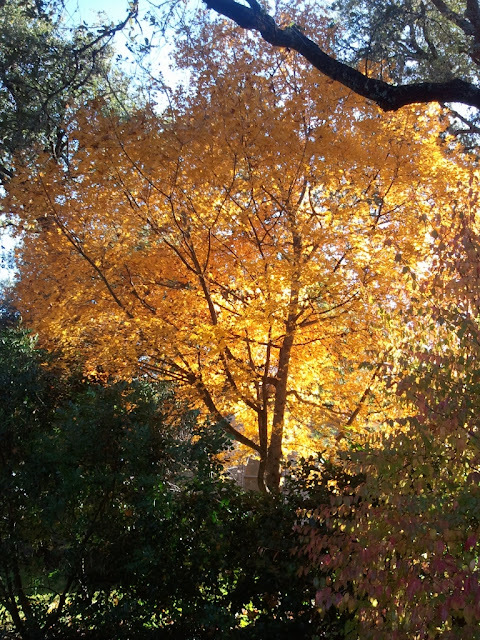 One of my favorite neighborhood sights during fall is this maple tree which bursts into bright yellow-orange for a few days each fall. It's probably a Shantung Maple from China because the leaves look smaller than our native Big Tooth Maple. 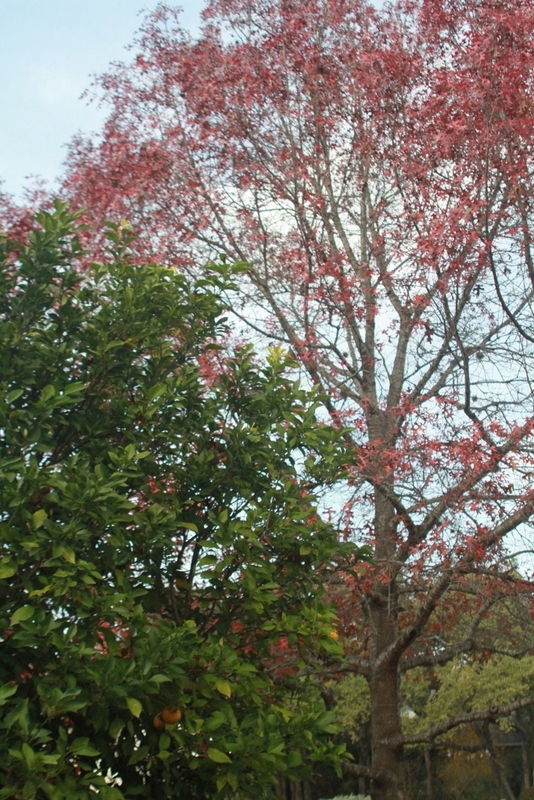 While the Red Oak next door gets good color it's the evergreen tree just in front that is quickly becoming a favorite. 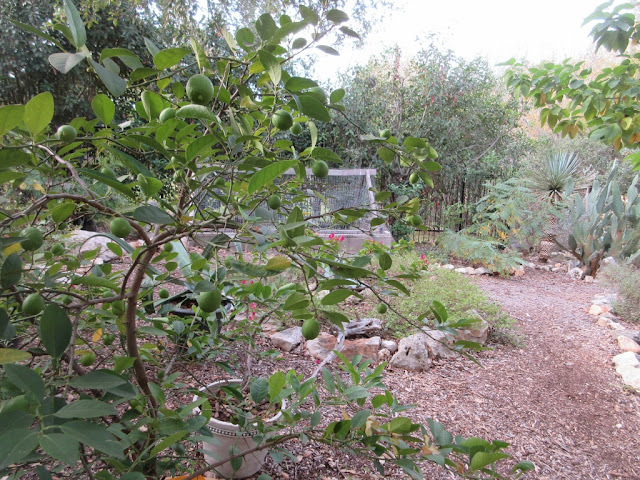 Our neighbor brought seeds for this sour orange tree from his native Honduras. The trees are descendants of Seville oranges brought to the New World in the 17th Century by Spanish explorers. Sevilles are not pretty grocery store oranges and their bitter juice is astringent on the tongue. 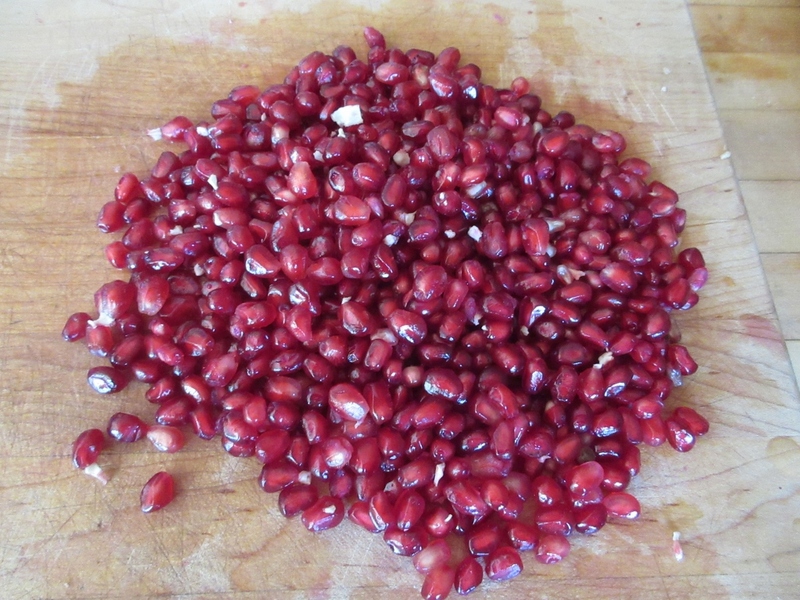 High pectin content makes them excellent for marmalade which I had fun making last year. This year I used them in Mojo, a citrus marinade, for grilled chicken and also made a delicious Sour Orange Pie. 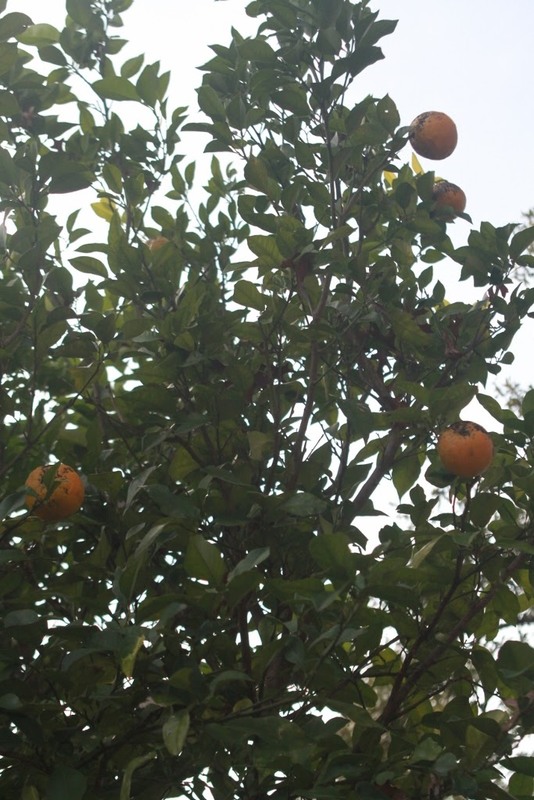 Most "Sour Orange" recipes include various methods to approximate the taste of hard-to-find Seville oranges so I am very appreciative that I have been invited to take as many sour oranges as I can use. Sticking with the citrus theme we have a bumper crop of Mexican Limes which are the same as Key Limes. It usually takes about 20 of these tiny fruits to make a Key Lime pie but so worth it since lime juice doesn't get any fresher than straight off the tree. Meyer Lemons are ripening just in time for Lemon Cheescake. 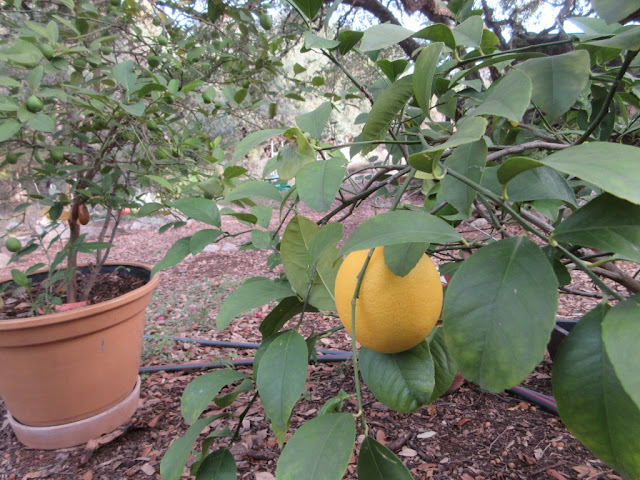 So nice to have fresh lemon and limes at hand. 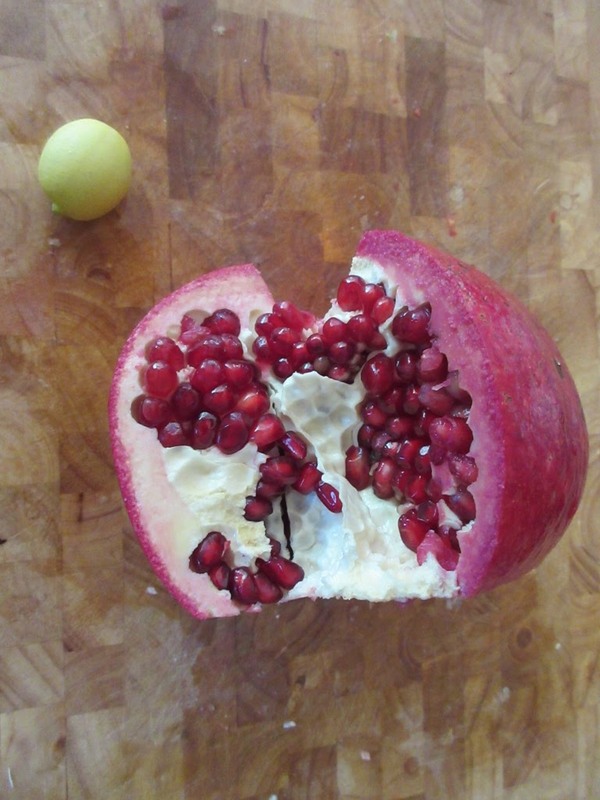 We finally produced a Pomegranate with seeds worth eating! 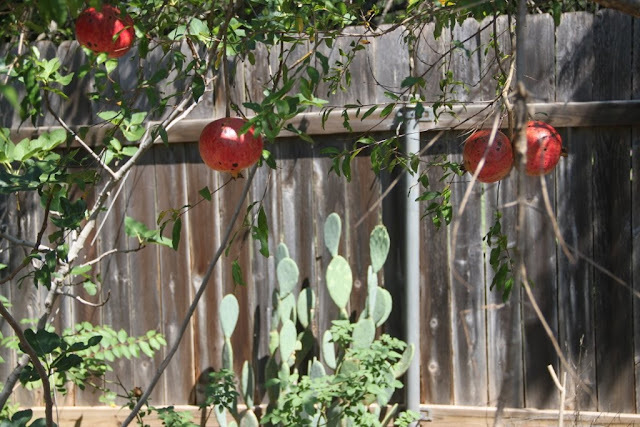 There are five fruiting Pomegranate trees in the garden which look great but rarely produce good seeds before rotting or splitting. 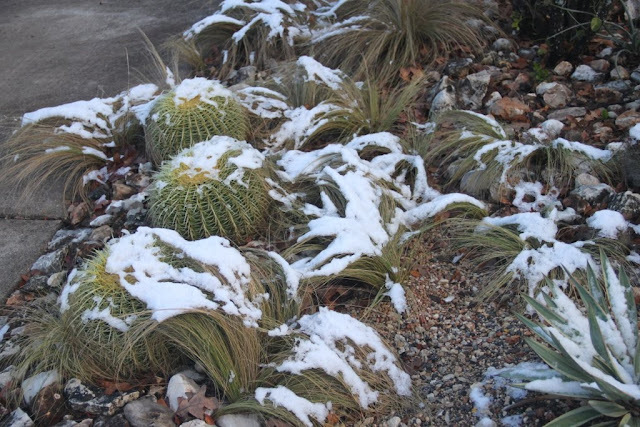 In more news, the front landscape survived last week's snow with very little damage. 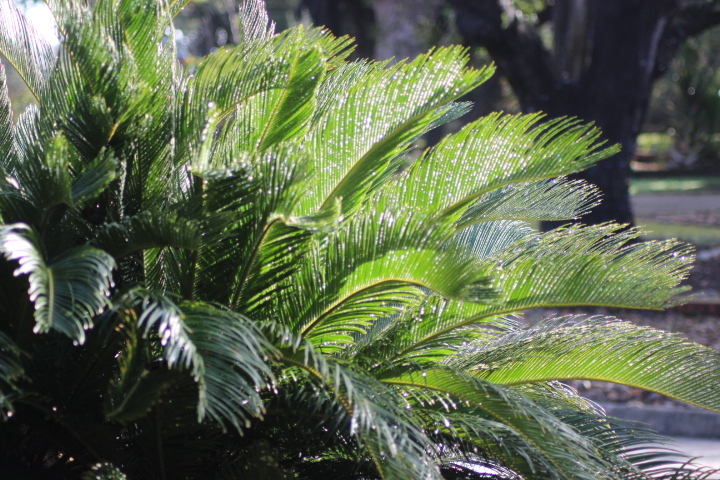 Not a bit of tip burn on the Cycad. Golden Barrels are fine, just a little wet. 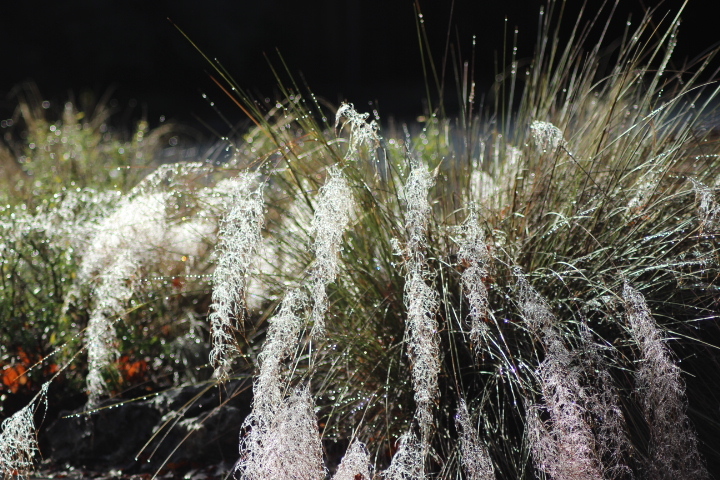 Seedheads on grasses are heavy with all the rain we've had this past week. 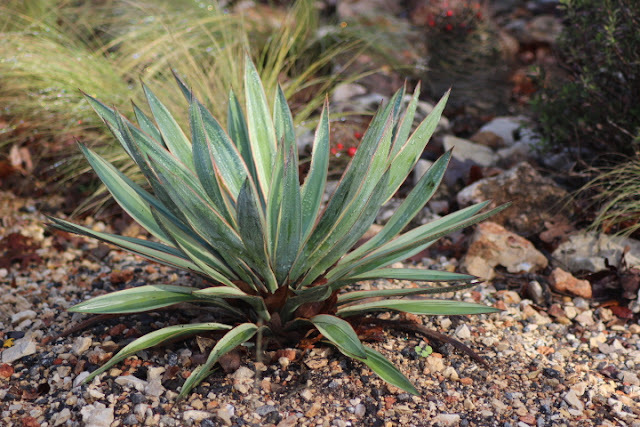 Fortunately most of my dry-loving plants like this Yucca gloriosa 'Variegata' are planted in fast-draining gravel. 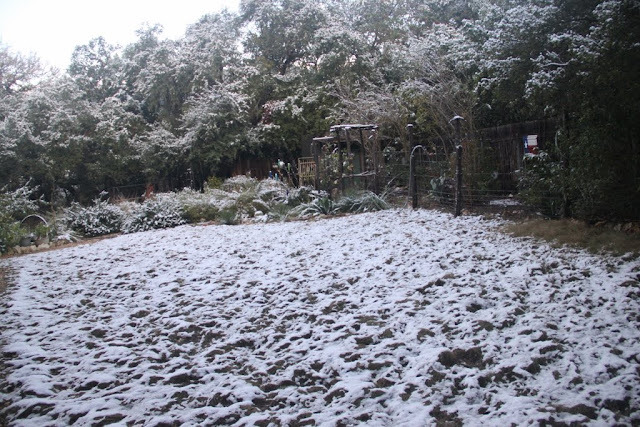 One more warm day and then we'll have a cold front. It's raining again this morning. 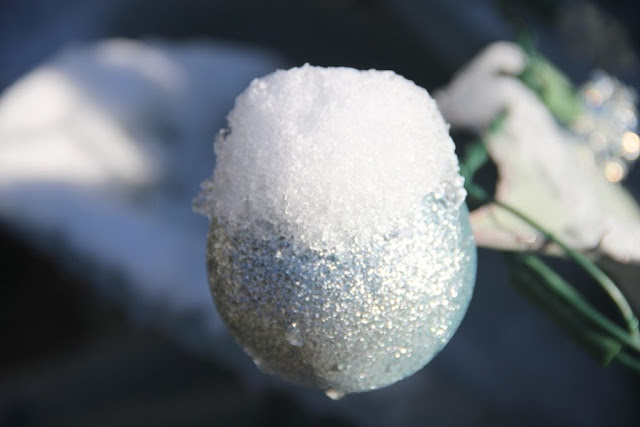 No snow predicted for Christmas. 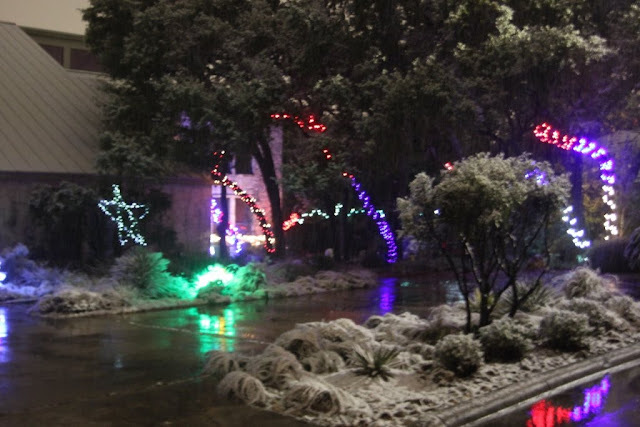 Snow happens in San Antonio but it's pretty rare. Even more rare is snow in December with just six November-December snowfalls recorded since 1895. 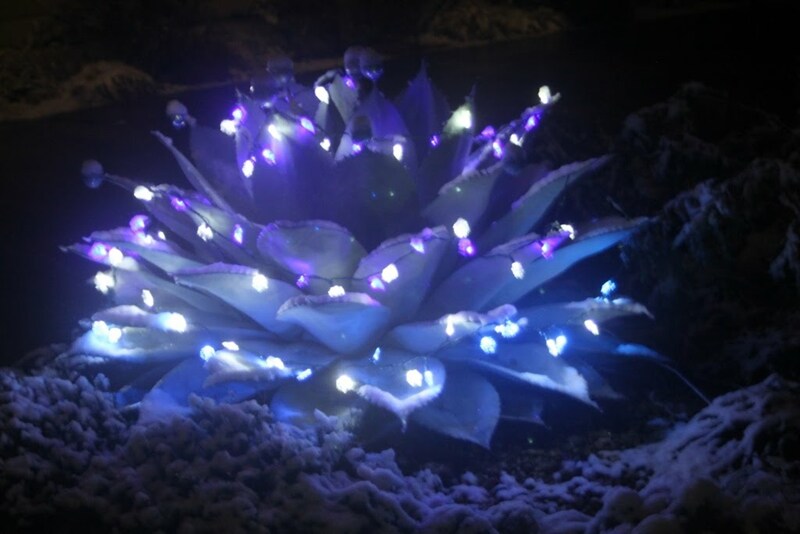 We've always thought wrapping snowflake lights on the big Agave ovatifolia was a bit of a joke. Last night they were in their element. 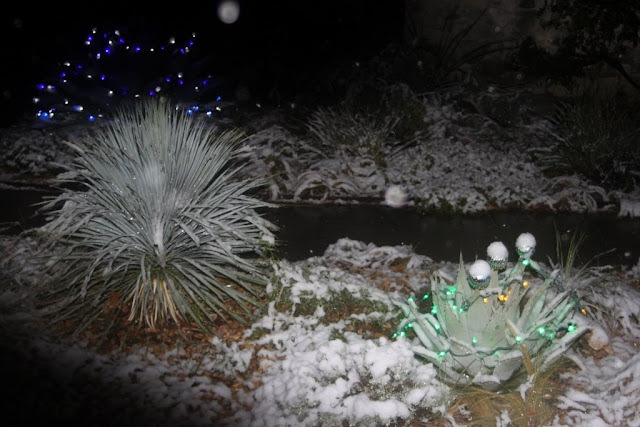 The snow fell after dark making photography a challenge. At least I'd already started putting out the lights and adding bright plastic Christmas balls to their tips. 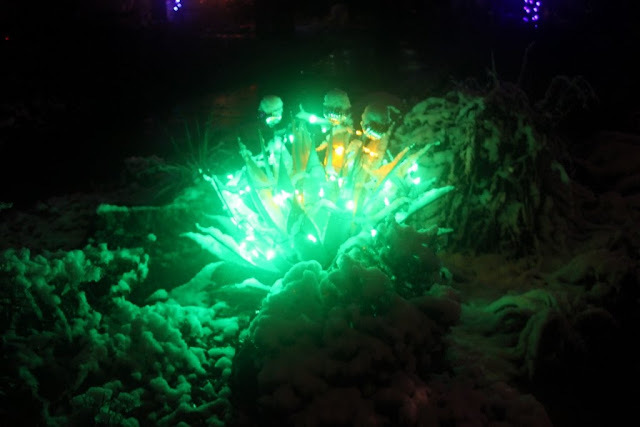 Agave neomexicana in green and yellow lights. 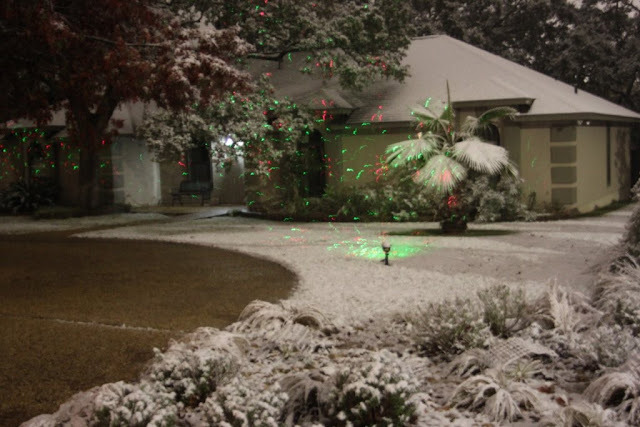 We had fun walking around in the falling snow with holiday lights to help highlight the scene. 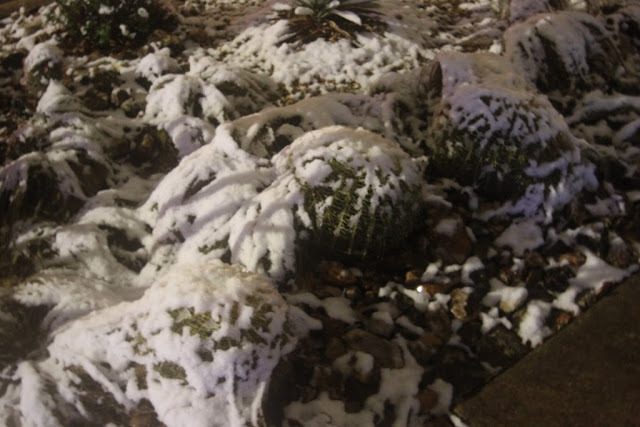 What about my plants? 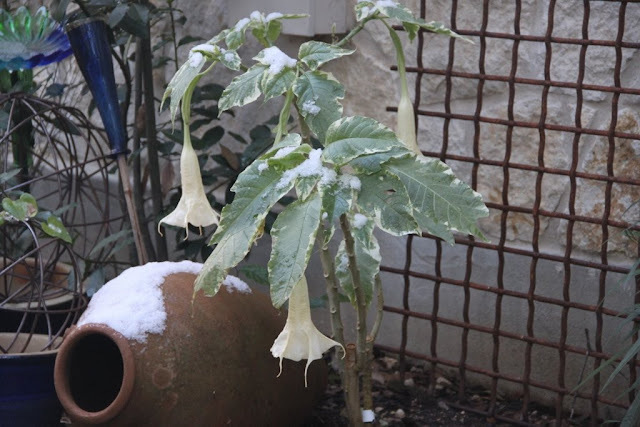 Cold was predicted so I had already brought in the begonias and frost tender succulents and had time to cover most of the borderline hardy garden plants. 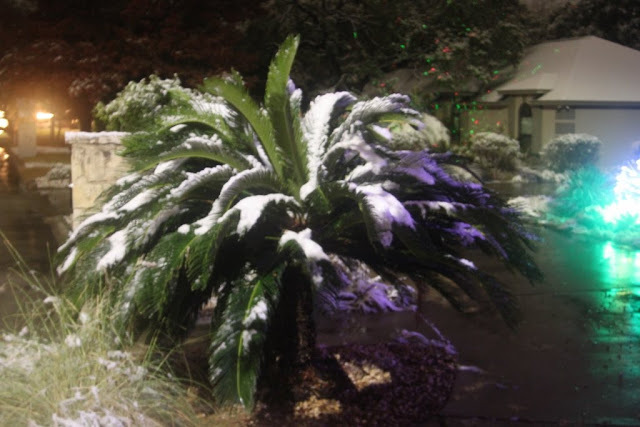 The fan palm next door is quite hardy. 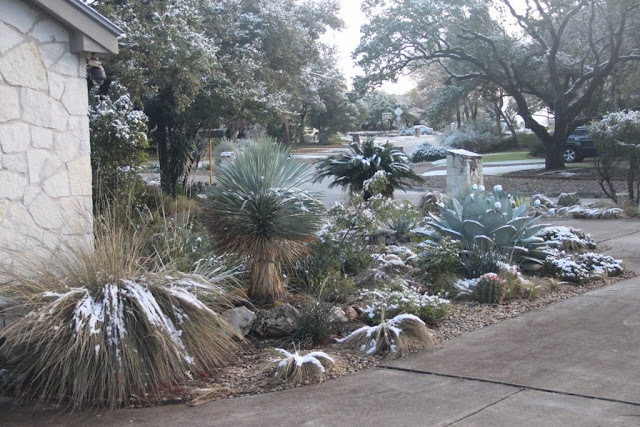 Cycads are fairly hardy and it only went down to 34F last night. Yuccas and Mexican Feather Grass are all hardy in near-freezing conditions. 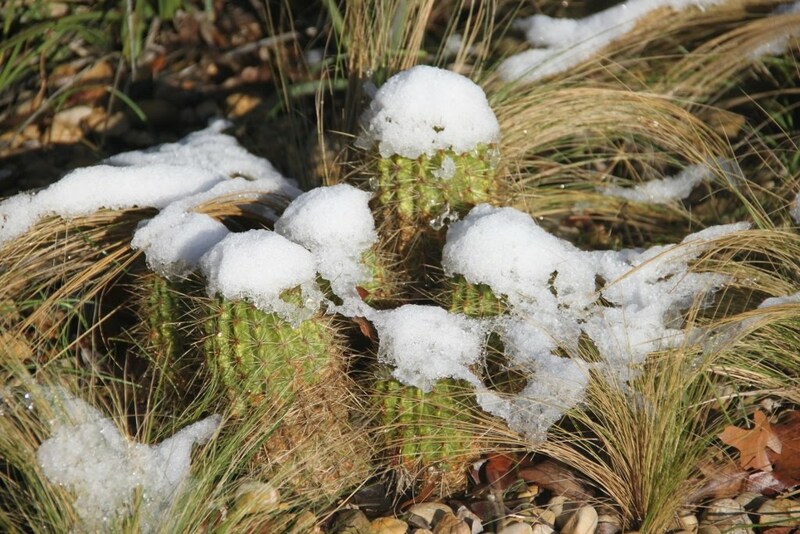 Three well-established Golden Barrel cacti which can survive down to 15F if they are well-drained. Snow slides right off flexible Yucca rostrata leaves. 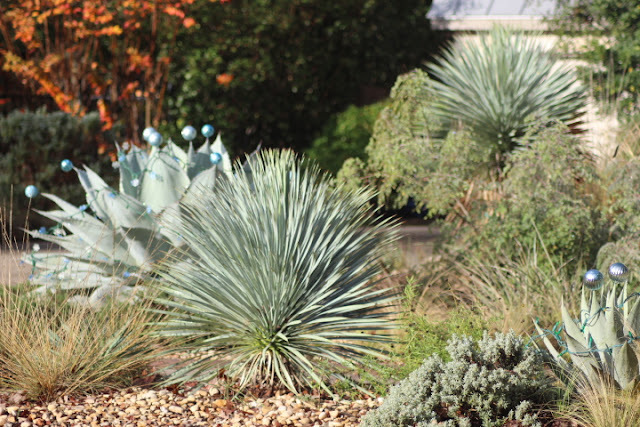 Yucca rostrata is native to higher elevations in West Texas and quite cold hardy as well. Native grasses can take whatever our weather throws at them. 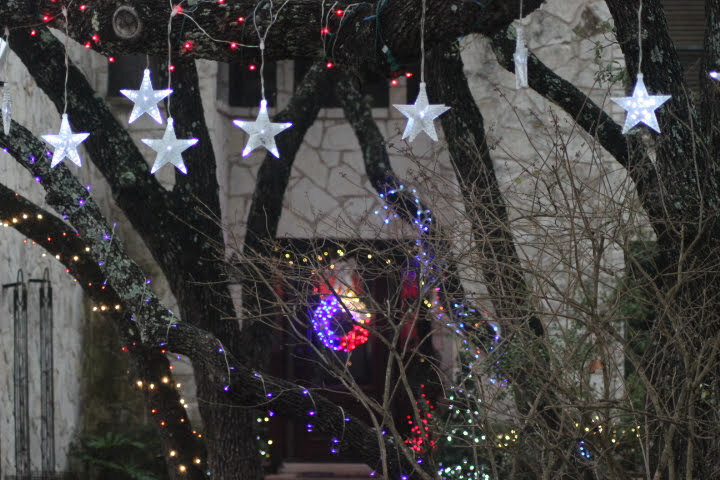 Especially pretty view from the garage corner. 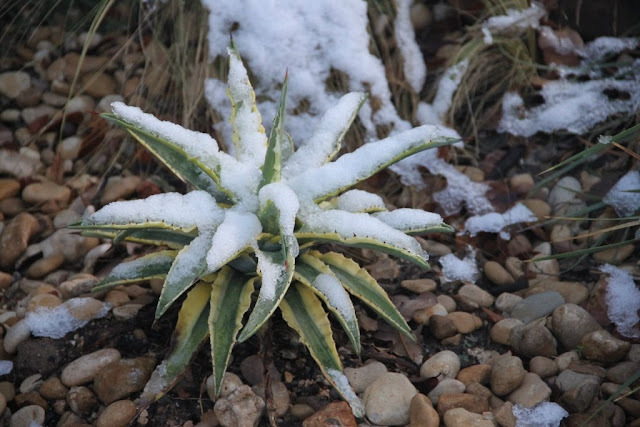 One frosty Agave ovatifolia in the back garden might show a few marks from the cold, wet weather. 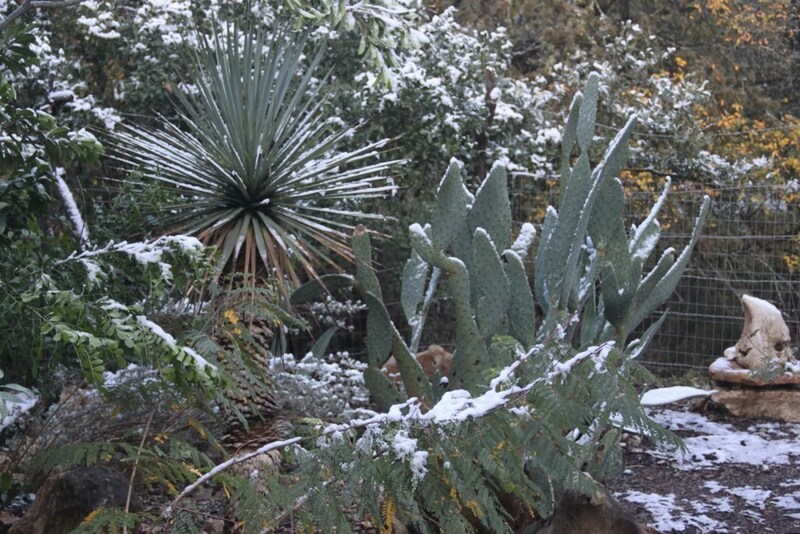 Naturally silver Yucca rigida looks great in snow. Buffalo grass with a nice coating still in place. 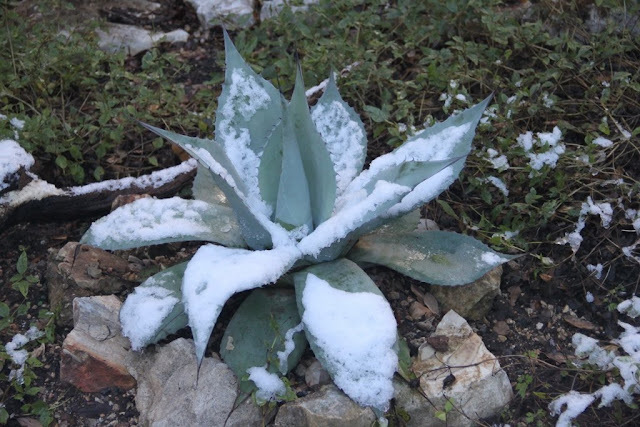 It 's been warmer than usual so the garden was still growing and blooming until this happened. Rosemary in the holiday spirit. 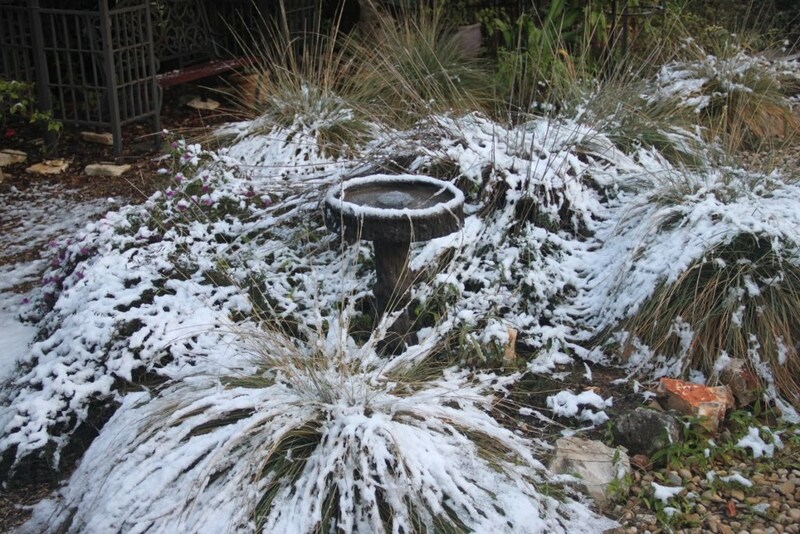 Birds will show up as soon as this thaws. 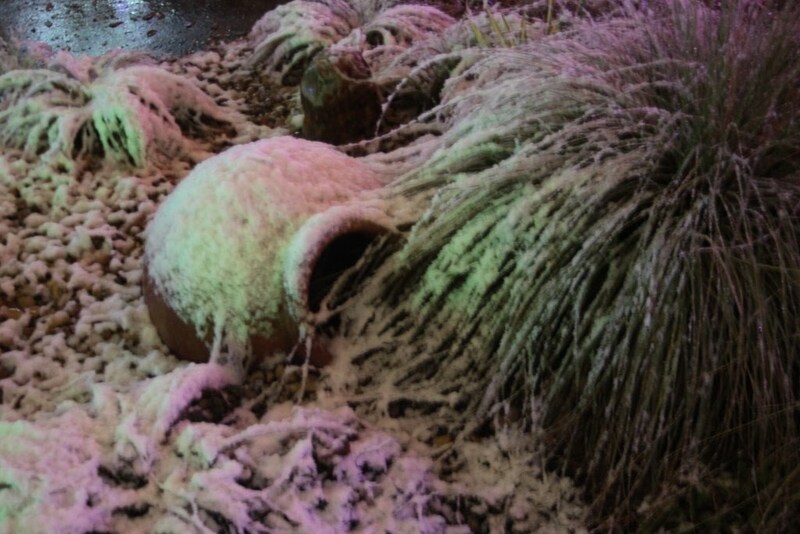 Golden barrels shedding their snow covering. 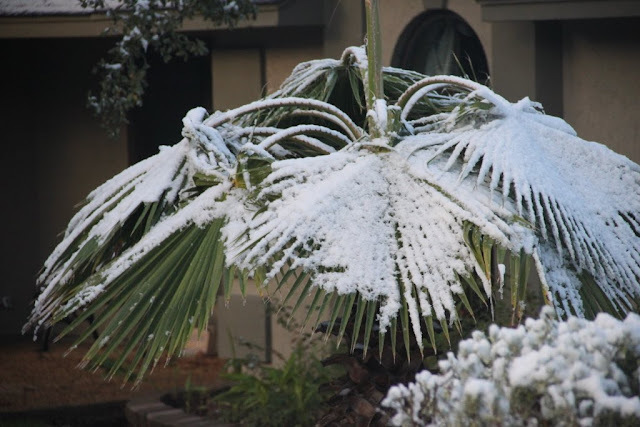 That hardy fan palm next door. Agave cornelius hardy to 20F except I recently planted two more which might not have established yet. Hedgehog cactus might get a bit of scarring from the cold but it will come back. Brave Maya still blooming this morning. 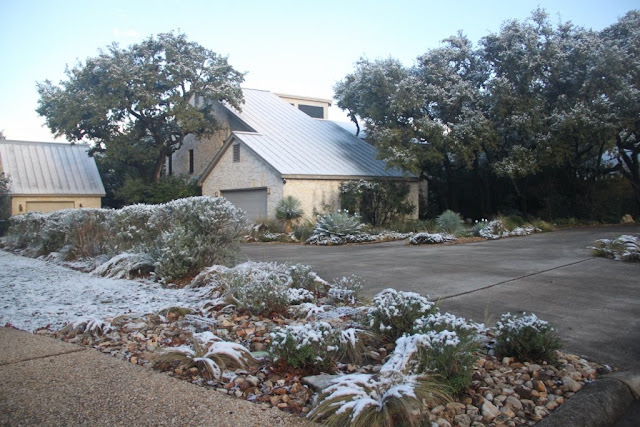 ...there was still a bit of snow on the northside roof. 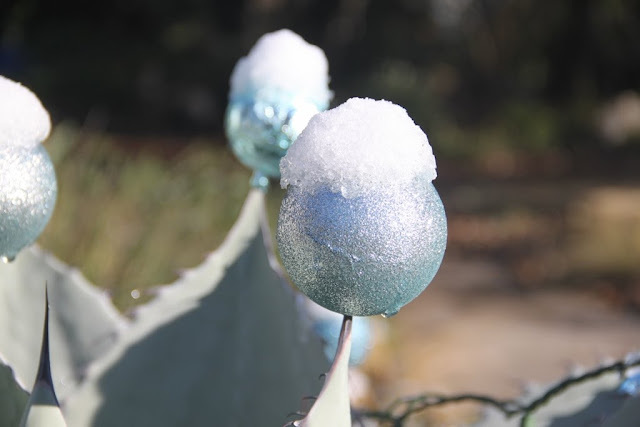 Usually these ornaments are the only frost on the agave during December. We thought we'd left this and our snow shovel behind when we retired to Texas. 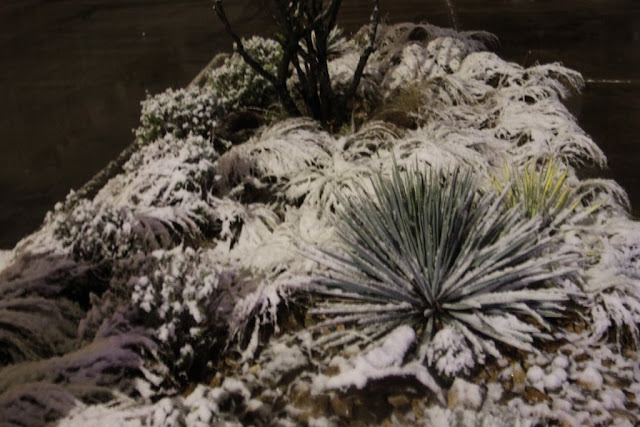 No snow shovel required. It's all gone now. 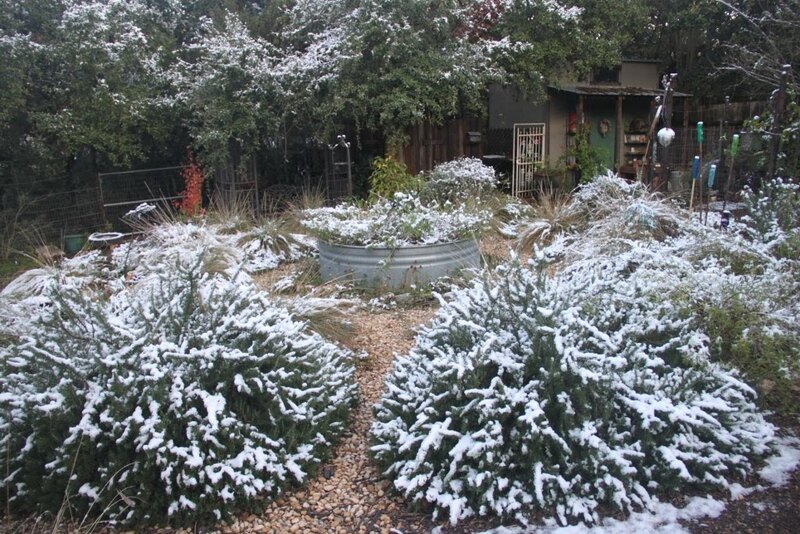 Snow is fun once in a while but we don't miss shoveling and scraping just to get to work on a winter's morning. 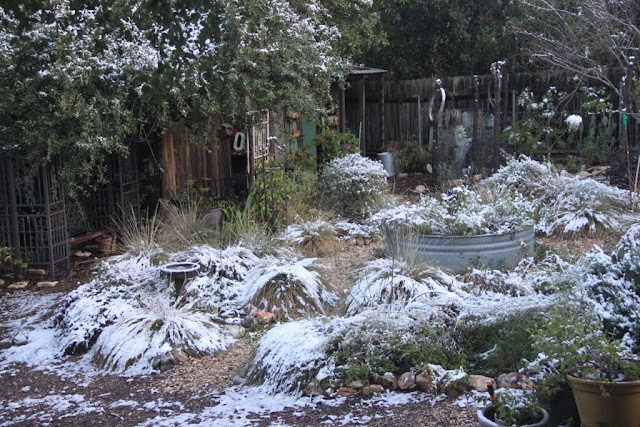 Living and gardening in San Antonio, Texas. Another day in the garden? Shirley Fox. Awesome Inc. theme. Powered by Blogger.